This is my entry for the weekly theme. 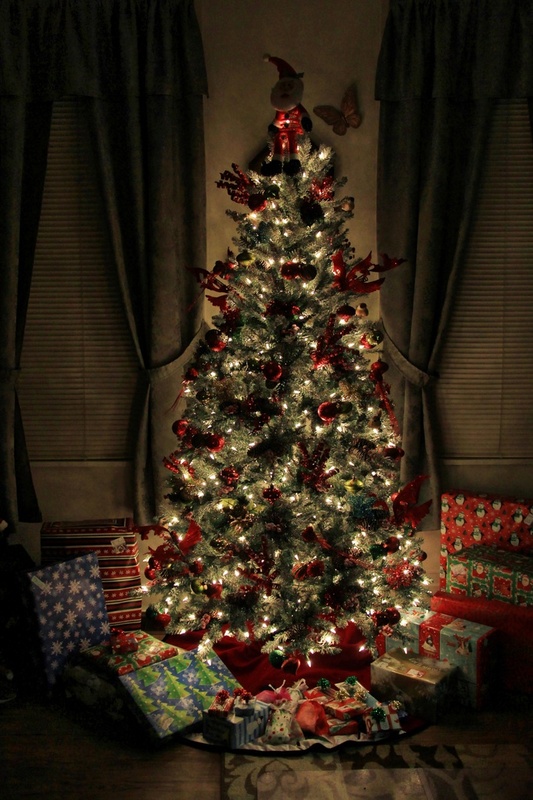 It can be so calming to sit in a dark room just looking at the soft glow of the tree. This is absolutely beautiful! The lighting couldn't be more perfect! Fav! So beautiful when the decoration is finished...just looks at all the lights. just lovely. I'm feeling calm just gazing at it. I think the same way, and have done it several times. What a beautiful tree! And a great shot! Beautiful!! This has a subtle Victorian look to it with the wonderful editing. Gorgeous shot of your gorgeous tree, Rick. Beautifully decorated tree. Love how you captured the light. I love your tree Rick...so traditionally Christmassy...not sure I like all these fancy modern ones...even your presents underneath, so well organised already!! @jsw0109 I know I picked the application off my Smart Photo editing program, and I do believe it was a HDR app, but when I looked at my photo info it said ISO speed of 500. I cannot believe I had my ISO that high, and shot it in natural light with an aperture of 4.0. I may need to play tonight to see if I can duplicate. I am confused myself. I'm enjoying looking at yours. orgeous shot. Beautiful tree! The room looks so cozy I find myself craving hot chocolate. Nossa! Que linda!! Sorry it had to be in Portuguese!! I don't know what to say about your Xmas tree... I´m just so jealous.. FAV! What a magnificent tree and shot of it!